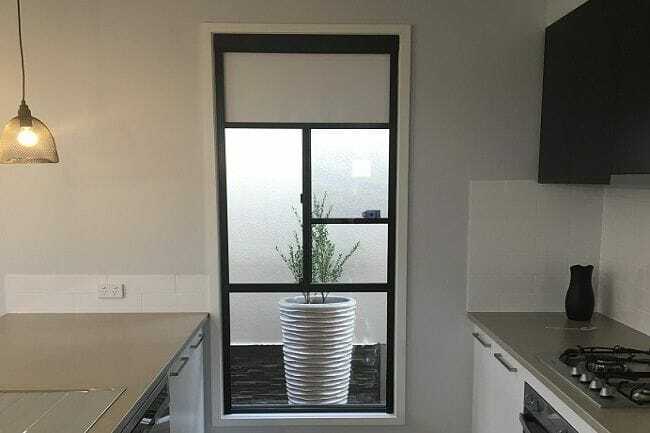 ScreenAway blinds system is a retractable blind and flyscreen solution made for windows old and new. ScreenAway's system allows a neat and tidy fit within the reveal of your window. 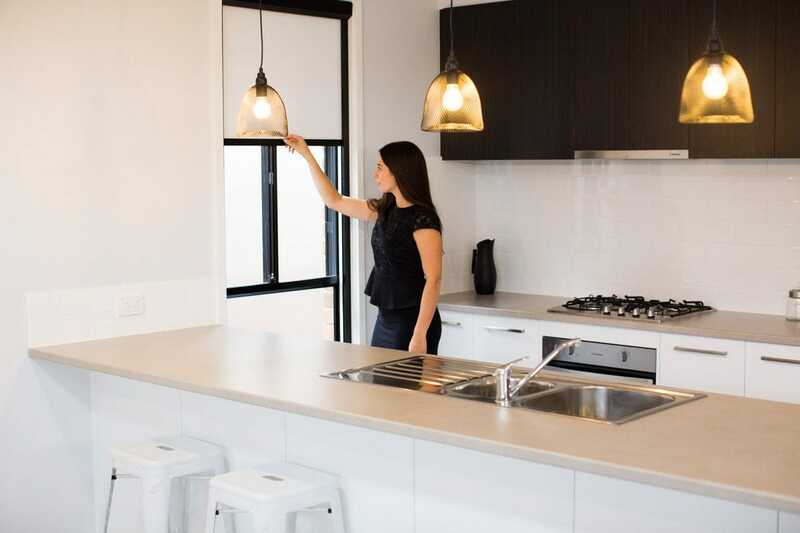 Its system allows you to enjoy clear views as you can retract the flyscreen when not in use. Our flyscreens are very important in areas where cleanliness and hygiene are vital, such as areas of catering and food preparation and keeping those pesky bugs out. it is also available in a range of different fabric colours to suit your taste. No cords or chains keeping your children safe. 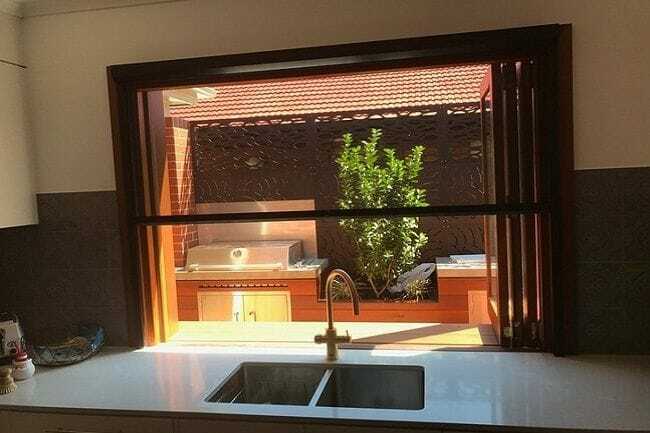 It is also perfect for servery windows to make serving food to your outdoor area much easier. A unique tensioning system that allows for smooth operation and fabric tension. Also includes a good range of frame and fabric colours.